CAMERON Bancroft has responded to criticism from Ricky Ponting, Michael Waugh and Michael Slater over his explosive "tell-all" interview with Fox Cricket's Adam Gilchrist. 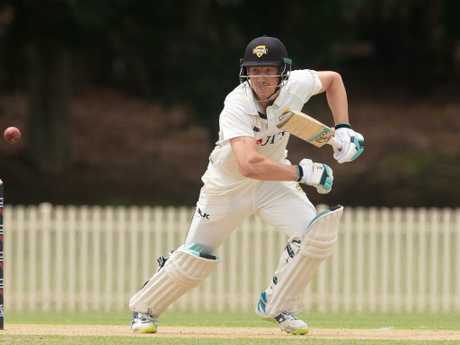 The former Australian opener made a dream return to Sheffield Shield cricket on Saturday when he helped Western Australia to 0-118 at tea against NSW on the first day of their match at Sydney's Bankstown Oval in Sydney. But it is his interview with ABC Grandstand that will dominate headlines. In a wide-reaching interview, Bancroft opened up on his new relationship with former opening partner David Warner and swatted away criticism from Aussie legends surrounding his turbulent return after serving a nine-month ban for ball tampering. 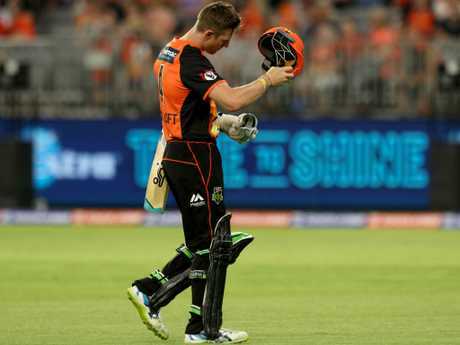 While he made his professional cricket return with the Perth Scorchers in the Big Bash League, Saturday's Shield match was the first time Bancroft had played first-class cricket since he was dramatically busted by South African TV attempting to tamper with the ball during the calamitous Cape Town test match. The 26-year-old's return was made even bumpier by widespread criticism that followed his interview with Gilchrist where he suggested Warner instructed him to carry out the plot to alter the surface of the ball using concealed sandpaper. Former captain Ponting said Bancroft's actions during the interview were "shocking" - reopening old wounds. Aussie great Slater said Bancroft had "buried" Warner by making statements that supported Cricket Australia's conclusion the aggressive batsman was the architect of the ball-tampering plot. Bancroft responded to the criticism on Saturday by declaring he did not understand how Ponting and his colleagues could be so upset, despite the interview being screened in the middle of the Boxing Day Test. 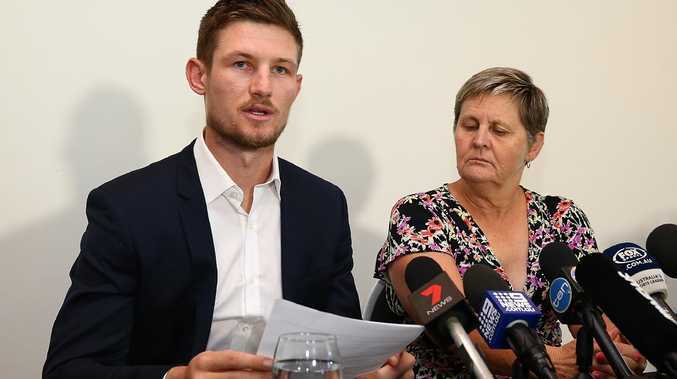 "At the end of the day, my ban actually finished on the 28th of December, right in the middle of the game," Bancroft said. "I find it hard to understand a little bit because I was going to have to speak at some point. The other thing that I was really passionate about is that I didn't just want to talk for the sake of talking. "The game in general and life in general… there are messages far greater than just yourself to portray. "I felt like I had some really important learnings that I wanted to share, which is why I wrote my letter and did the interview with Gilly - because I felt like there were some really powerful lessons in my journey that I wanted others to connect and share with. "If other people were triggered by that, I guess that's their battle to face. If was able to touch people through some parts of my journey and to help them... that was my sole intention for that." In the Fox Cricket interview, Bancroft all but threw Warner under the bus - but he didn't see it that way. "I've spoken to Dave," he said. "All of us, including Dave, have all been really challenged through this period of time. And I know that all three of us have really stuck by each other and looked after each other well. "You can't understand the trauma that I felt. It was probably very different to the trauma that he felt and I probably can't understand that. I guess moving forward there will be great lessons for all of us, including Dave." Ponting said during the Boxing Day Test that Bancroft's decision to speak ahead of match would not have gone down well with teammates because of the distraction it caused. "I'm not sure how happy the players would be about it or Cricket Australia, because it's a pretty special moment in Australian cricket on a day like today. So, we'll see what the reaction is," Ponting said. "Some of the things that have been said have been quite shocking to me. We're nine months on from this stuff and there's still a lot being spoken about what happened in Cape Town. "I was disappointed with a few things and I don't think he had to say some of the things he had to say. Slater slammed Bancroft for only telling the truth nine months after the ball-tampering fiasco. 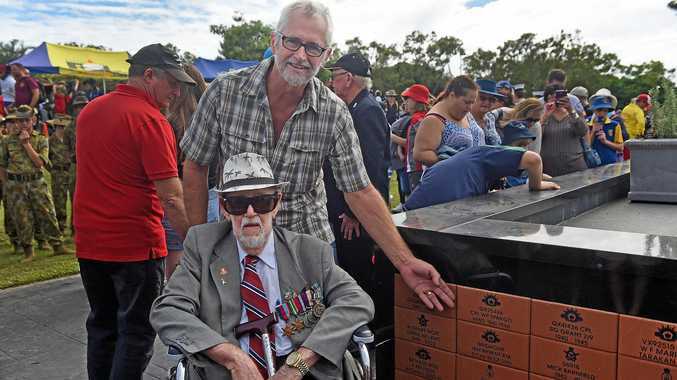 "In those comments, he's buried Warner," Slater told Channel 7. "They had the chance way back when it happened to tell the truth about the situation. There's no use now coming back and saying something different that was said then. "They all collectively said as that little group that 'we're all involved' and now they're saying something very different. "I don't want to hear it. I know there's an element of the public that now like to get to the bottom of it, but in terms of a respectful comment on Dave Warner, there's been none of that." Former Aussie selector Mark Waugh described Bancroft's comments as "naive". Aussie great Dean Jones was much more scathing. Bancroft's interview with Gilchrist followed a published letter written from Bancroft to himself in The West Australian newspaper. "Dear Cameron, today is a day that you will feel a sense of having lost everything," he wrote. "A day you literally used a piece of sandpaper on a cricket ball. I promise you, it will be one of the most significant days in your life. You will wonder why you did it, question every part of who you are as a person, grieve, grow, act and become someone again. I promise."